The Total Package! This comes with everything you could want! 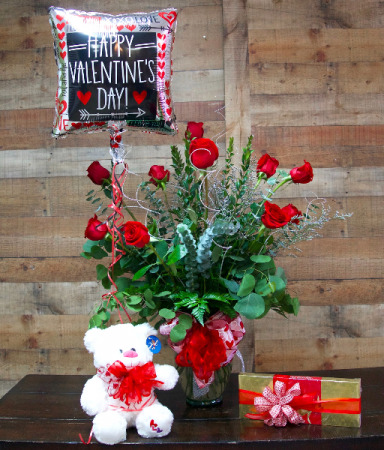 Our huge roses imported from Columbia, a balloon, box of chocolates, & a stuffed animal! Guaranteed to make a real impression! 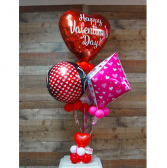 Our largest & most impressive arrangement for Valentine's Day, The Guarantee is guaranteed to give you the results you're looking for this holiday! 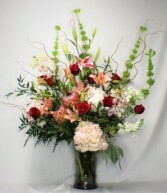 Packed full of roses, lilies, bells of Ireland, orchids, hydrangeas, & protea this arrangement will knock them off their feet!